Preparation: Read through and ponder the article, "Understanding the Lord’s Sacrament", BY ELDER DAVID B. HAIGHT, March 1989 Liahona Magazine. Gather pictures; Picture of a chapel, Sacrament, atonement and the crucifixion. Article of Faith: #5: We believe that a man must be called of God, by prophecy, and by the laying on of hands by those who are in authority, to preach the Gospel and administer in the ordinances thereof. Show your family a picture of a chapel (see LINK here). Ask your family what it is a picture of? Explain that the chapel is a very special, sacred place. Ask them why they think it is special and sacred? Explain that it is special and sacred because a very special and sacred ordinance takes place in the chapel. Explain that each Sunday, we have the opportunity to partake of the sacrament and renew our baptismal covenants. Play the song, "The Chapel Doors", Children's Song book pg 156. After the song ask your family how we should act in the chapel? Explain that as soon as we enter the doors that lead into the chapel we should get ready to partake of the sacrament. The chapel is the place in the church house that we should be the most reverent. Ask your family what we should do to be reverent and prepare to get ready for the sacrament? Explain that we are reverent to show our love for our Heavenly Father and our respect for him. When we are in the chapel, it is time to talk quietly if at all, sit quietly in our chairs with our feet on the ground, walk quietly down the aisles and be thinking about our Savior and all that he has done for us. In the song it says, "sh_be still", this is how we are to act in the chapel. (In my family we will discuss how it is not a time to be playing electronics or doing other things that do not help us think of the Savior. Instead we can sit quietly, read the sacrament hymn in our minds, read the scriptures, look at a picture of the Savior, think about the Savior atonement, crucifixion and resurrection and think about the things we can do to better choose the right and follow the gospel.). During the sacrament hymn we should be singing and think about the words we are singing. This will also, help us to prepare to partake of the sacrament. Hold up a picture of the Sacrament. Ask your family what is taking place in the picture? Ask your family why do we partake of the Sacrament each Sunday? Explain that we as mortals are not perfect people, we make mistakes. Heavenly Father knew this so he sent Jesus to suffer and atone for our sorrows and sins. And then to suffer death and later be resurrected. The sacrament helps us remember these sacred events. It is also an opportunity for us to take part in the atonement. When we are baptized a member of The Church of Jesus Christ of Latter-day Saints, we make sacred covenants with our Heavenly Father and we are washed clean of all of our sins. The sacrament allows us to renew the covenants we made at baptism and to be forgiven of the sins and mistakes we have repented of throughout the week. "We must take these emblems in worthiness. Personal worthiness to partake of the sacrament is required before one can receive the Holy Ghost. 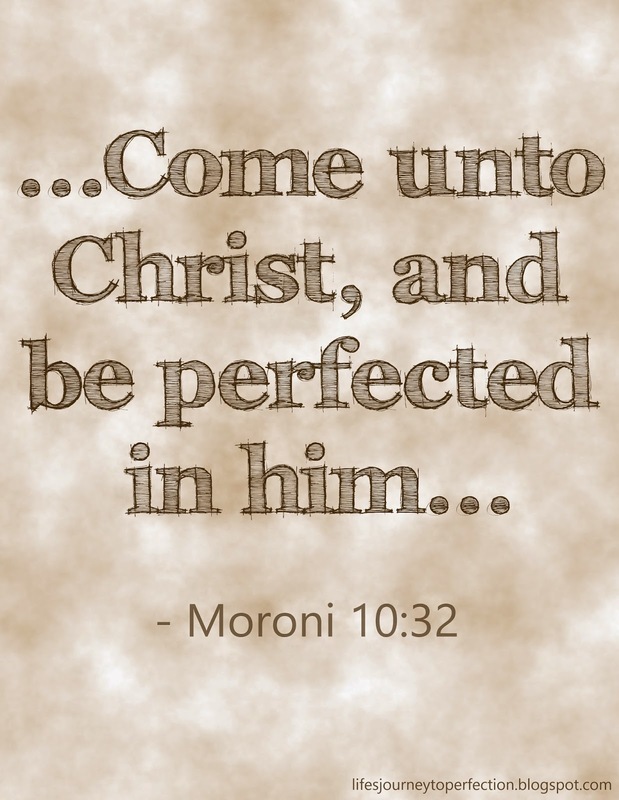 Moroni admonished, “See that ye partake not of the sacrament of Christ unworthily.” (Morm. 9:29.)" "What is meant by worthiness? Worthiness implies all those matters mentioned in the temple interview questions, but there is more expected from Christ’s disciples than just the refraining from sin. There must also be harmony among Christ’s disciples—especially within families. Show a picture of the atonement and the crucifixion. Then play one of the following Sacrament Hymns, invite family members to think about the Savior and how in debt we are to him and grateful we should each be for all that he has done for each one of us. Discuss as a family what kinds of things we can each do throughout the week to remain faithful. Invite family members to bear their testimonies on how taking the sacrament helps your renew their baptismal covenants.